FootGolf combines the popular sports of golf and soccer and is basically golf played with a soccer ball. 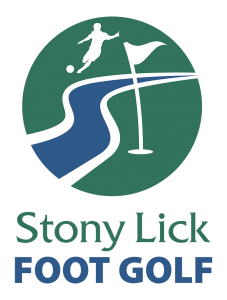 At The Woods, FootGolf is played on our Stony Lick course and it’s great fun for all ages. For details on the sport visit the American FootGolf League (AFGL). Each player needs their own #5 soccer ball. Since FootGolf is played on a golf course please dress in proper golf attire.